The limited series categories at the upcoming Golden Globes are filled with an endless amount of exciting possibilities and the best part is that a lot of the contenders come from unexpected places. Independent and foreign filmmakers like Cary Joji Fukunaga, Park Chan-wook, and Jean-Marc Vallée have major new projects that are likely to be nominated while a well-known name in Ben Stiller is directing his first major TV project. On top of all that the acting races have an endless amount of Oscar favorites to choose from including Amy Adams, Emma Stone, Jonah Hill, Patricia Arquette, Penelope Cruz, and two recent Golden Globes winners in Alexander Skarsgaard and Laura Dern. The soon to be announced nominees will be particularly influential this year in the way that they are able to declare a front runner in next year’s Emmy race. We’re only six months into the Emmy calendar, but there are already enough flashy shows to fill the category. Will Sharp Objects, Maniac, or Escape at Dannemora be declared the early front runner? Or will none of it matter in comparison to Ryan Murphy’s recent Emmy champion in The Assassination of Gianni Versace? Any boost from the HFPA will be helpful especially as the season continues with high-profile releases from I Am The Night, True Detective, and Central Park 5. The Assassination of Gianni Versace is everything the Hollywood Foreign Press obsesses over compiled into one show. The second season of the Emmy winning Ryan Murphy anthology series is centered around the sensationalized life and death of Gianni Versace, one of the biggest international designers in the world, while simultaneously cast with movie stars and one undeniable pop sensation. The second installment of American Crime Story also stands out for tackling issues like homophobia and mental illness in a thought-provoking manner that interested audiences and critics. On top of being a contender in the limited series race, it has a strong chance of being the most nominated show of the year with endless acting possibilities in Darren Criss, Penelope Cruz, Edgar Ramirez, and Ricky Martin – just to name a few. After the massive success of Big Little Lies, HBO seemed destined to repeat that success with Sharp Objects. Starring Amy Adams and helmed by a creative team including Jean-Marc Vallée, Gillian Flynn, and Marti Noxon the limited series will have no problem commanding awards attention. Audiences were divided during the first few episodes which made a lot of people question if it truly was the front runner. However, after the last few episodes became some of the most talked about of the year, the series and its star seem safe for nominations. The real test of the southern gothic mystery’s popularity will be if any of the supporting cast is nominated, particularly Patricia Clarkson or Eliza Scanlen. Netflix has become a major player in just about every TV genre with the one exception of the limited series. The streaming network made ground at the Emmys when Godless won three acting awards but the HFPA has yet to nominate any of the network’s projects. This year that is likely to change with Cary Fukunaga’s Maniac. The limited series about a mind-bending pharmaceutical trial features by far the most ambitious premise of any show this year even if audiences and critics were divided on the payoff. It also features two A-list actors in Emma Stone and Jonah Hill. AMC’s The Little Drummer Girl is an over-stylized cross-continental European spy thriller – in other words everything the HFPA would ever want in a limited series. The adaptation of the famous John le Carré novel is on track to become the underdog contender especially after the major success of The Night Manager two years ago. The Little Drummer Girl also stars Florence Pugh in what is sure to be a star making performance for the 22 year old actress and we know voters have a long history of celebrating the ingenue. 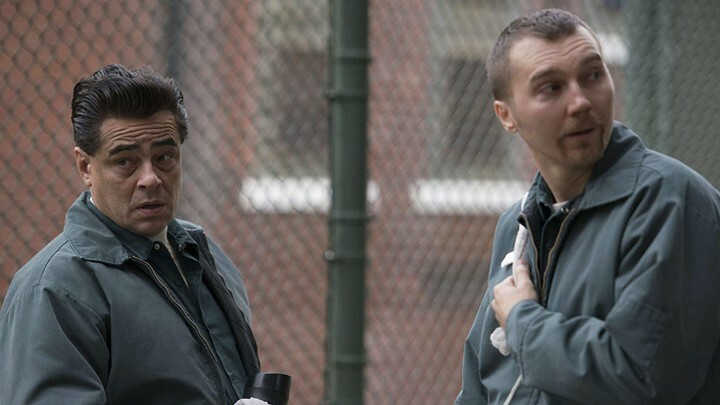 Based on the 2015 true story, Escape at Dannemora focuses on the escape of two murderers from the Clinton Correctional Facility with the help of a female prison employee. The Showtime limited series features an impressive cast including Benicio del Toro, Paul Dano, and Patricia Arquette who many critics have praised as giving the single best performance of her career. On top of its famous ensemble the critically acclaimed series was directed by Ben Stiller. The critically acclaimed series debuted to modest ratings but the ten episodes will roll out throughout the rest of the year and will surely stick out to voters. Benedict Cumberbatch is simultaneously well-known for beloved British shows like Sherlock and box office hits like Doctor Strange which makes him an obvious contender for Showtime’s Patrick Melrose. The critically applauded limited series follows is a semi-autobiographical adaptation of a series of novels about a man overcoming his addictions and traumas after the death of his father. Cumberbatch received some of the best praise of his career for the role and in all likelihood is a sure bet for an upcoming nomination. The big question is if voters loved the series enough to nominate it in the top award as well or if they will move on to newer shows. The Romanoffs, Matthew Weiner’s followup to Mad Men, was one of the most anticipated shows of the fall, and it featured a massive ensemble of beloved actors. The episodic anthology series tracking the descendants of the royal family was plagued with bad reviews and a premise that failed to draw audiences in. No one in the ensemble has enough screen time to stand out to voters but the HFPA were massive fans of Mad Men and the goodwill for the show might influence them to bring Matthew Weiner back to their ceremony. HBO Films have a long history at the Golden Globes with their various projects raking in multiple nominations year after year. Unfortunately for HBO as the television landscape continues to grow and limited series further dominate there seems to be less room for TV movies. Even so Globes voters have gone out of their way to single out the stars of these films and this year will be no exception. Globes favorite Laura Dern is in contention for The Tale and movie stars like Al Pacino (Paterno) and Michael B Jordan (Fahrenheit 451) are in contention as well. Peter Dinklage is also a possible contender as well for his portrayal of Fantasy Island icon and Golden Globe nominee Hervé Villechaize in My Dinner With Hervé. 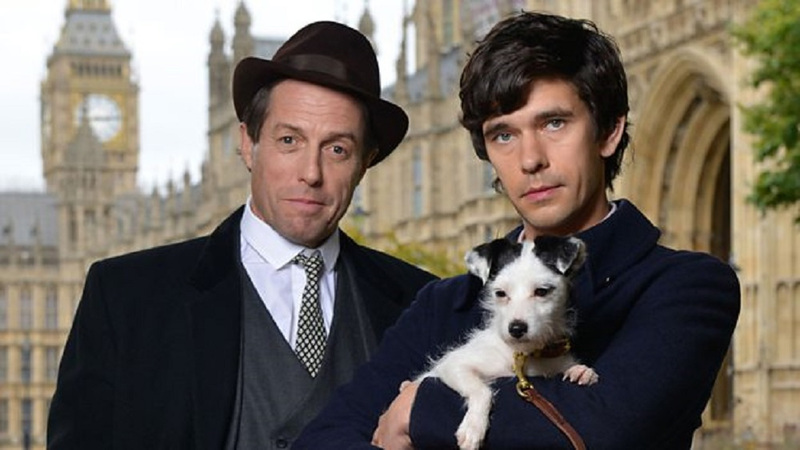 A Very English Scandal became one of the biggest critical hits of the year when it debuted in America on Amazon Prime receiving surprising praise for its darkly comedic angle on such a dark subject. The British sensibility of the 70s period piece about a prominent member of parliament that is accused and eventually brought to trial for attempting to murder his gay ex-lover is the spot-on type of show that would show up at the Golden Globes without much buzz heading into awards season. It only helps that the show was written by Stephen Frears who is a very Globes-friendly name as well as two stars in Hugh Grant and Ben Whishaw. Even if the top limited series category might be too competitive for A Very English Scandal the two stars stand a good shot of being singled out for their performances. Dirty John is the perfect last minute WTF choice that the Hollywood Foreign Press is known for especially in the TV categories. The Bravo/Universal drama has been a surprise hit with audiences and stars Connie Britton and Eric Bana in a pulpy adaptation of the podcast of the same name about a conman tricking a woman he meets on an online dating site. The true crime series might not have enough prestige to sneak into such a crowded limited series race but a nomination for Connie Britton isn’t completely out of the question although it would surprise many. The Hollywood Foreign Press has always been fond of the Starz network with surprise nominations in recent years for limited series and TV movies like Flesh & Bone, The Missing, The Dresser, Dancing On The Edge, The Girlfriend Experience, and The White Queen. This year the network’s biggest project was Kenneth Lonergan’s adaptation of Howards End. The limited series was well received by critics and British audiences, but it didn’t have as big of an impact with American audiences. It faces a lot of completion this year and doesn’t seem to be on the radar of many people. However, the HFPA is quite fond of British period pieces about class differences, so it shouldn’t be counted out. It’s strongest chance at a nomination might be for its star Hayley Atwell who is becoming more and more well-known in the US. Kevin Hart's Past Comes Back to Haunt Him - What Will the Academy Do?